Those of you who follow this blog and the Instagram account probably noticed that I use a lot of expensive gear. This is partly because I own the shop, but also partly because I choose to drive a 20 year old car and dump all my cash into expensive aluminum and carbon fiber instead. But what about those of you who can�t convince themselves or the minister of finance back home to drop a few K on a new fishing rig? In order to answer that question I gave Alex (my Redington rep) a call. 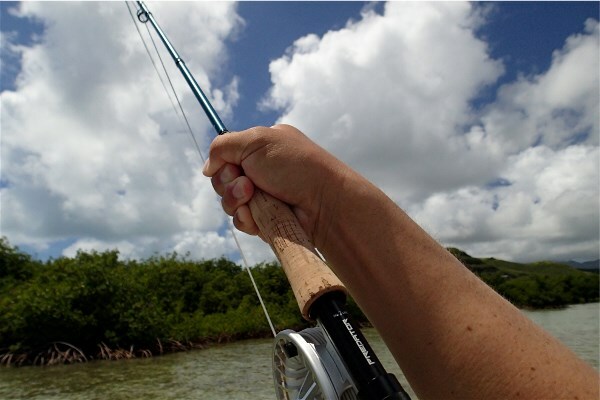 A few days later I got a Predator rod and Rise reel in the mail and went to hit the flats with them to see how they would hold up on our local fish. I opted to use a 7wt, as I mostly fish in really shallow water and I like a little lighter presentation on the spooky fish who feed there. First impression of casting the rod was that it was on the stiffer side (although I like this for windy conditions and throwing bulky crab and mantis patterns), but not nearly as stiff as the first generation Predator. Matching it with a heavy, bullet tapered, weight forward line like the Rio Quickshooter or Cortland Guide Taper would work nicely. My first attempt to catch a fish did not go so well. 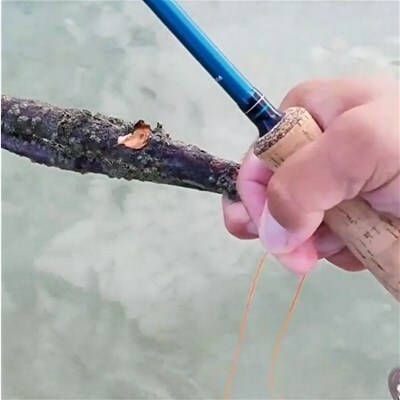 I neglected to change the backing Alex had loaded the reel with (20# dacron), and when a smart fish ran around some little mangrove bushes, it broke the backing before I could free it. A first for me, but a sound lesson learned. After reloading the reel with proper 60# GSP backing, I went back in hopes of having a more productive day. 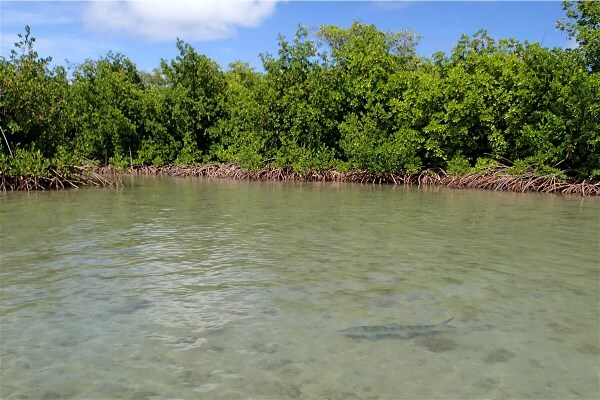 Sure enough, another nice fish was tailing along in front of the mangroves, and I made the 40ft shot out ahead of him. (Casting directly into a 10 knot tradewind was no problem) when he got a couple of feet from the little mantis fly, I gave it a twitch. 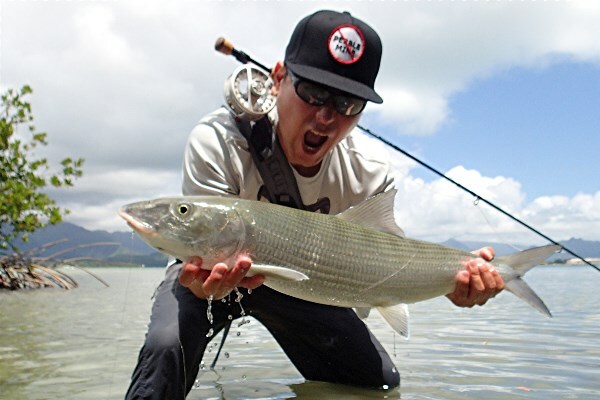 I saw him rush forward and start doing the �bonefish wiggle.� A quick strip set and we were off to the races! 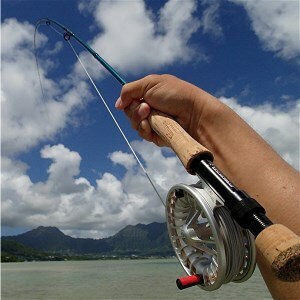 The Rise has a decent drag for such a lightweight reel, and it was smooth and measured while the fish ran for the safety of deep water. He didn�t make it. Within a few minutes of back and forth, he was at my feet and about to get yelled at. He was a solid fish, and a worthy adversary for just about any flats fishing gear.